Candidates will be asked to introduce themselves and have a few minutes to share about their campaign prior to the question and answer period. We ask that community members write down their questions upon entering the event and a few questions will be drawn at random and asked via a moderator to save on time and allow answers to be given by all candidates running for the specified position. Some time for mingling and refreshments will be available at the end of the evening. 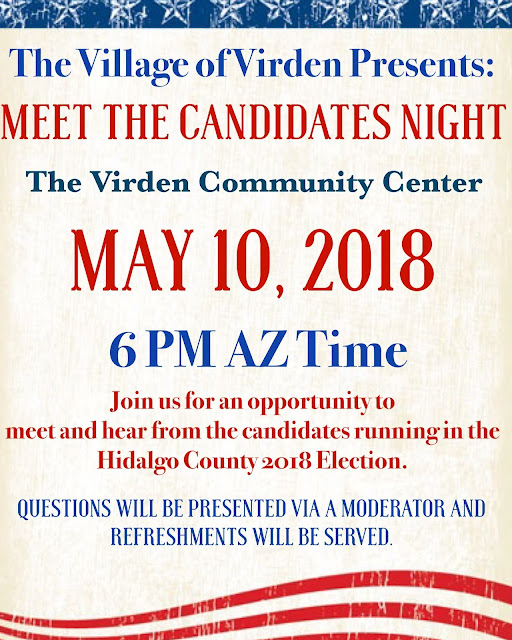 We hope you can join us to be able to make a more informed decision on the June 5th, 2018 Hidalgo County Election!